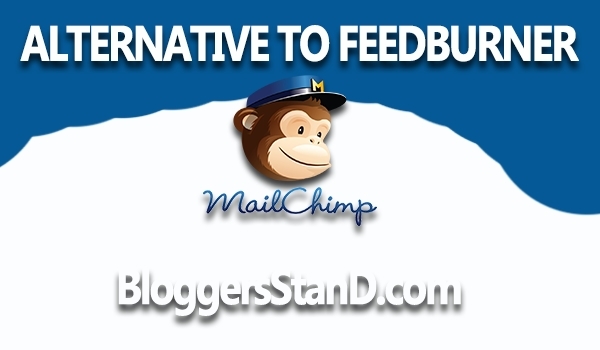 How To Send RSS Feed In Email From MailChimp - Alternate To Feedburner | BloggersStand ';-1!=b.indexOf("img.youtube.com")&&(a=' ');d=a+''+p+''+titlex+"
Everyone has listen this big name from google family i.e Feedburner.Two year back nobody knows about Mailchimp.But today lot's of websites is using mailchimp for daily email newsletter,subscribe form,contact us etc.And mailchimp is doing very well in this industry.However today in this article we are going to explore How to make campaign to send Rss feed directly in their inbox.Mailchimp providing sufficient features free which is convenient to use it.If you cross those data limit then you only need to pay them otherwise it's totally free. We have seen from long time feeburner is not updating anything because google is planning to shut down feedburner services.Feedburner most useful features is when someone update their blog the feed generate by that article will directly send to the feedburners subscribers.Blog feed service at feedburner is already blocked.But we can see now they are not taking interest in updating this feature too so that's why we have planned to move on mailchimp and still we are newbie there hope soon we will explore more topics on mailchimp.There are other services that can be used for feeburner aleternatives.So let's skip this tutorial all needful words are already spoken out if something comes again in my mind or left will mention it again.So to grab this service follow the steps mentioned below. Step 1. 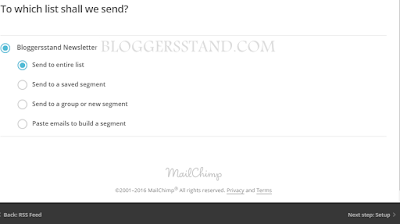 First visit http://mailchimp.com and sign up/create account "it's free"
Step 2. 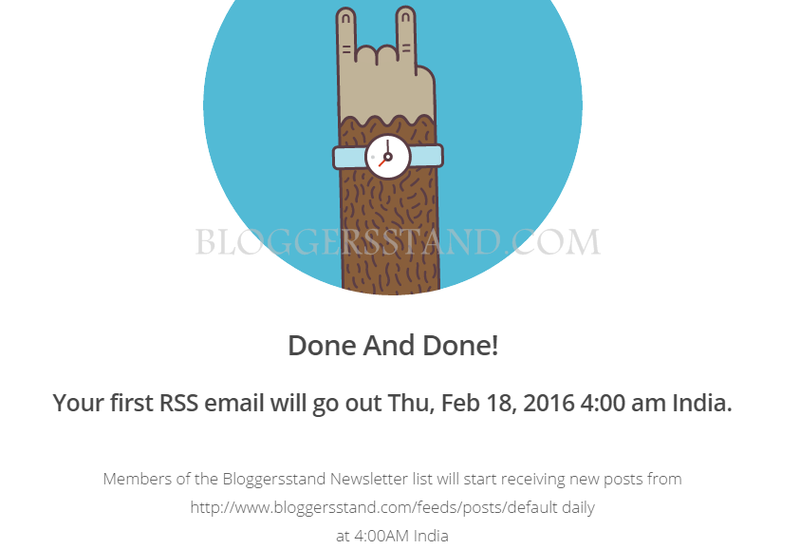 After creating your account you will see this below screen. Step 3. 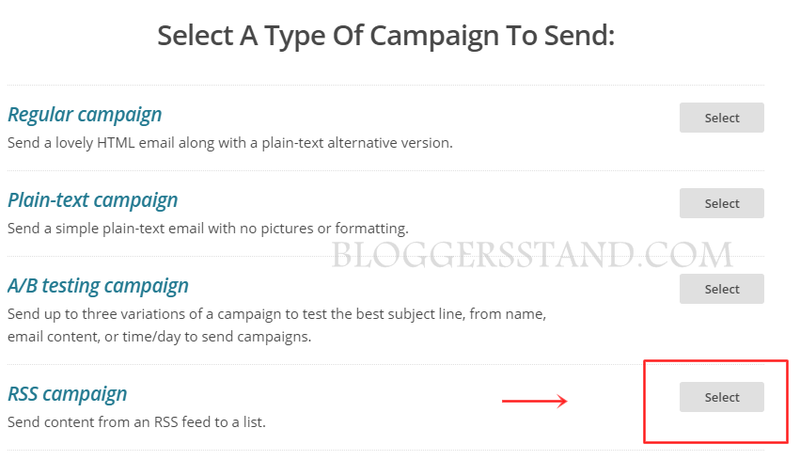 Now You can see there is third option is "create a list" click on that icon. Step 4. Now After Clicking on "create a list" now you will see next option Add a subscribers list..You have to options..first is to import from your email or second you need to create a sign up form for signing up for subscribing your website. Step 6. 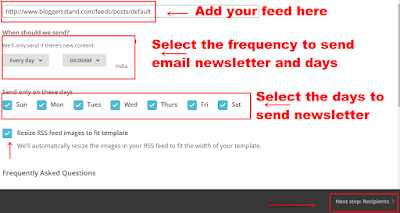 Now Enter your blog or website feed address after clicking on above select box,look below for example:Add Feed,Select default time to send email and days everyday or weekly or monthly etc, after that choose your days to send email newsletter. Step 7. 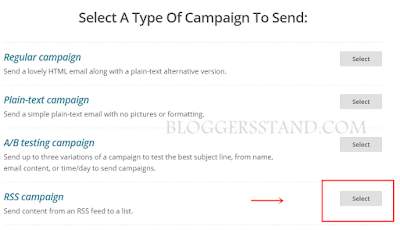 After that select the list which you have created to send email newsletter. Step 8. Now After selecting list like above picture look below right corner click next to setup campaign and from there choose the templates.however there are so many premade themes and designs but we have choosed basic and design it yourself. 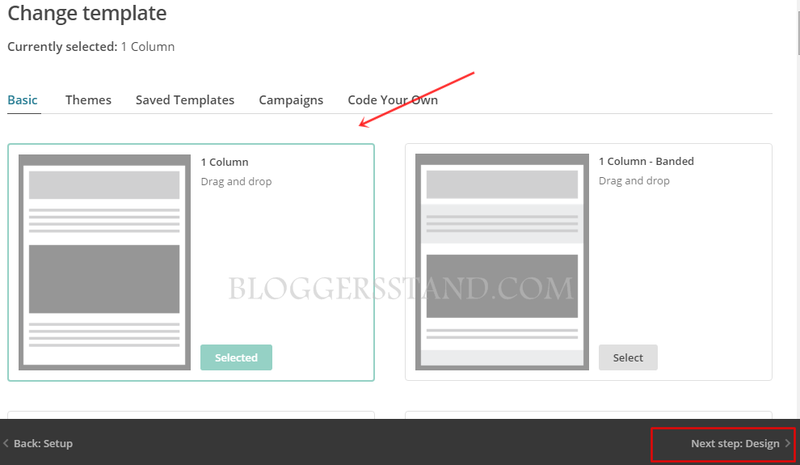 after choosing template click next step design button below right side. 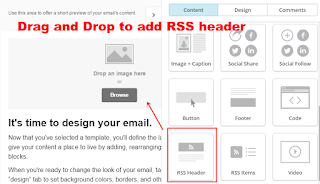 after remove above header now select rss header from contents after that drag and drop rss header. 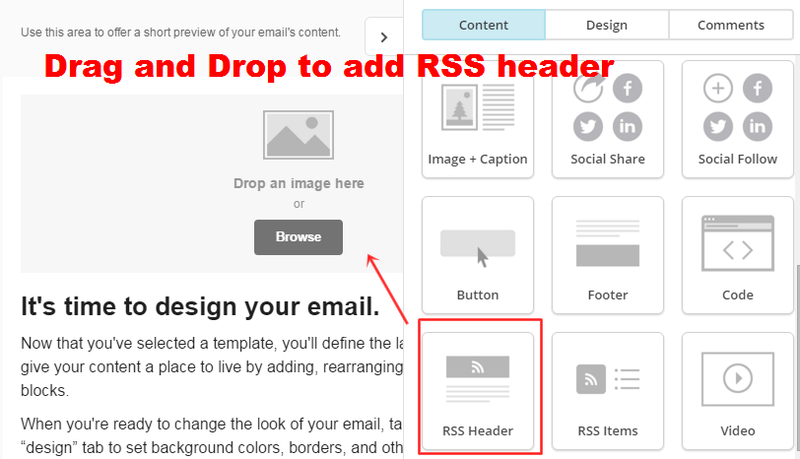 In above image you can see how to add rss header after that,There are few options more to customize social media icons,footer links etc. Step 10. 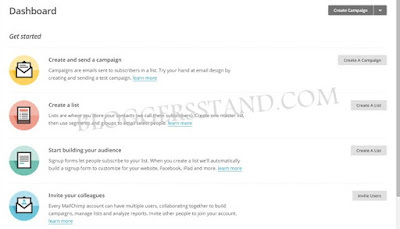 Now below is the screenshot for customize social media profiles,email footer and content,you can do according your need,if problem occurs contact us. 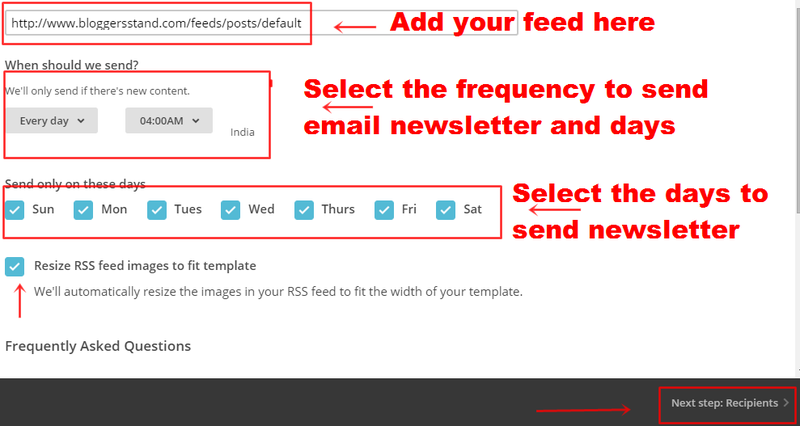 If you have more than 1 website you can repeat same options to add new feed for your website.However if you don't want same like this and you need to make sign up form from mailchimp then select list->menu->signup form . 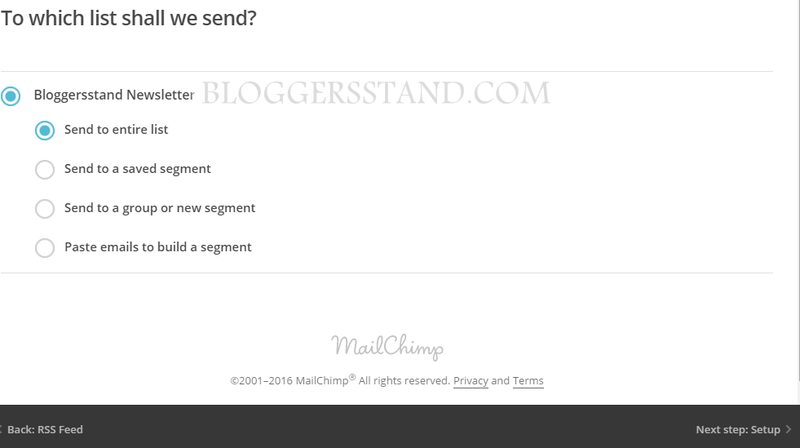 we will publish in next article for making sign up form from mailchimp in easy steps.stay tuned !! 1 Comments on "How To Send RSS Feed In Email From MailChimp - Alternate To Feedburner" So Far - Post Yours! 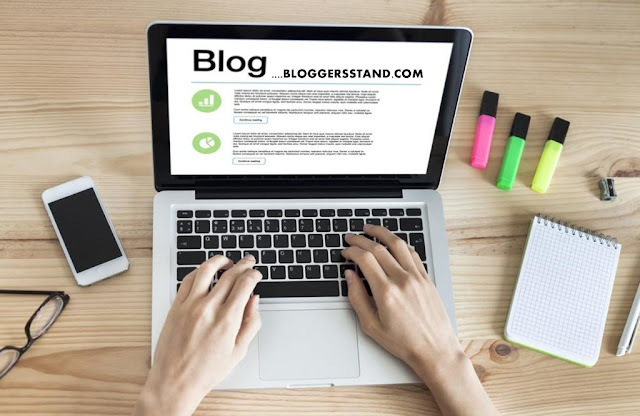 can i request some blogger tutorial?